Today we moved into our new home in Sioux City. The movers unloaded the truck at the house and at Grace UMC filling both my home and office with boxes. We immediately began unpacking the boxes that we had spent many days packing. I ran by the office to get keys and meet with some of the church staff and had the good fortune to run into some of members of Grace and some colleagues in ministry from Morningside College right next door to Grace. My wife Michelle and I are excited to be here! I’m looking forward to standing in the pulpit this weekend for my first sermons Saturday and Sunday and to meeting many members of Grace UMC throughout the week. For those of you who pastor you know that a church move always brings many changes which are similar to anyone who moves to a new community for a new job. But for pastors the change is even more significant. When you truly feel called to the life of ministry your church becomes not just a profession the church becomes your friends, your family, your place of worship, your place of service, and the place where you live out the calling that is a part of every facet of your left. There have been times in my life when I have found some ministry to be challenging and difficult. There have been many other times when I’ve found the some of the greatest joys in my life in ministry with God’s people. Starting at a new charge reminds me of my calling and the fact that I can think of nothing else in all the world that I would rather do or feel called to do than serve the church of Jesus Christ in pastoral ministry. It is good to know that you are where you were meant to be! 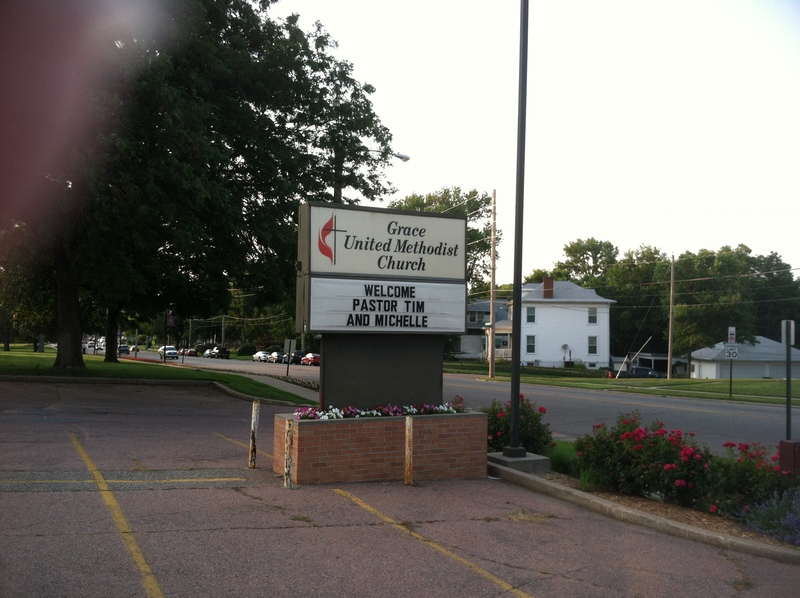 This entry was posted in Grace United Methodist Church, Itinerant Ministry, United Methodist Church and tagged Grace United Methodist Church on June 19, 2012 by Tim.